Now is the time to plant flowers for great fall color. 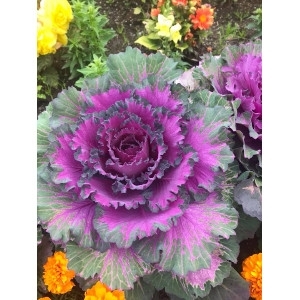 People tend to think about fall mums or asters for autumn color, but Flowering Kale is a color-packed foliage plant that blooms well into the fall season. They seem to have anti-freeze in their veins, some have been reported to last into December and January!